Map a forward path for your IBM Notes apps based on comprehensive data analytics. Adviser’s comprehensive, detailed analysis provides you with a complete list of your users, groups, applications, and templates. It reveals the true business usage of these applications and ranks their complexity. Adviser's UI is a web application and is hosted on a Domino server. The controls are interactive and intuitive, and much of the data is presented in graphical form. Export data from Adviser’s Catalog, Usage, Complexity, and Guidance Modules to comma-separated value (CSV) files for further reporting and analysis. Examples of reports available for export include all databases with complexity totals, all users with usage totals, all databases with their guidance recommendation, and all log entries. Uncertainty about what to do with highly customized, native Notes applications is common. Adviser's Guidance module instructs whether each application should be maintained or rewritten, archived, retired, or replaced. Contact us to schedule a demo, request pricing info or just learn more about Teamstudio Adviser. Before you can make decisions about what to do next with your IBM Notes applications, you need to gather a lot of information about the nature of those applications. Trying to understand how many apps you have, how complex they are, which are being used and by whom, and their business value is a complex and intensely time-consuming undertaking. Adviser scans your Domino servers and database designs, intelligently aggregates the data, and provides you with your unique roadmap to what’s next for your applications. Adviser contains four modules: Catalog, Usage, Complexity, and Guidance. Adviser's Catalog Module reads information from your Domino servers and provides a core list of databases, templates, users, and groups. You can use the Catalog to browse your databases by name, server, template, or how recently they’ve been modified, or to browse your users by name, tag, or group membership. In addition to information pulled from the server, this module also allows you to set a Business Value for each database, tracking its importance to your organization. You can also configure filters to exclude certain databases from the other Adviser modules. Adviser’s tagging feature lets you create tags and attach them to users or databases. You can then filter by tag in your reports. Adviser's Usage module imports usage information from your Domino servers and displays detailed usage statistics for both users and databases. For a database, you can see how many times it was accessed and by whom, along with historical trends showing whether the usage is increasing or decreasing. For a user, you can see which databases and servers they have accessed. More in-depth features include the ability to identify inactive users and the power to filter by user. Additionally, Adviser’s Effective Access reporting displays a complete list of each database's users as well as each user's access rights to databases. Adviser's Complexity module scans the complete designs of the databases on your servers and generates a complexity score, which measures the approximate difficulty of rewriting, archiving, retiring, or replacing your applications. 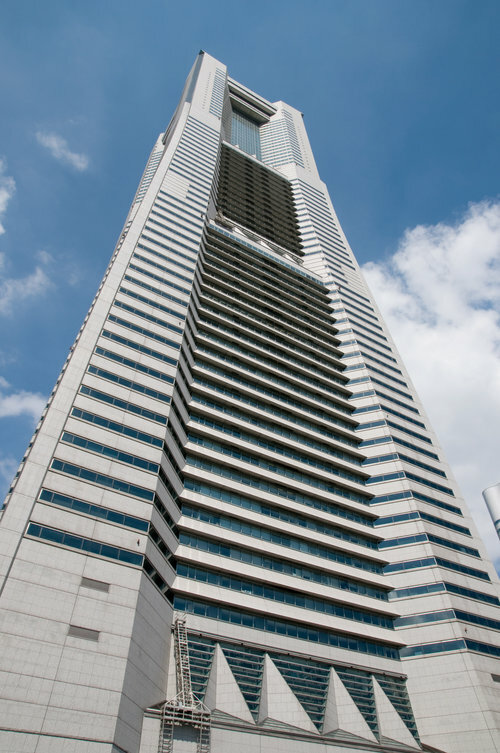 The score is based on a number of factors including the size of the design and the numbers of different types of design elements, along with counts of specific Domino features that are hard to migrate. You can also specify keywords whose presence suggest that migration may be difficult. These include, for example, references to other proprietary internal systems or external code in DLLs. Adviser's Guidance module brings together information from all the other modules to make a recommendation on a forward path for each database. Its recommendation is based on a combination of the application usage, the design complexity, and the Business Value of each database. You may also override the recommendation in cases where you already have a plan for a given database. The Guidance module’s recommendation will be one of four options: retain, archive, retire, or generic. Armed with this information, you can confidently begin rewriting, archiving, retiring, or replacing your applications. Watch a short, 3-minute demo of Teamstudio Adviser. Contact us to schedule a demo, request pricing info or just learn more about our solutions. Want to delve deeper into the nitty gritty of how Adviser works? Click the image to read the User Guide! We were there when you built your first database. Count on us now as you move to what's next. — Mustafa Sel, Inter-Ibex Consulting S.A.
Read how thin film coating manufacturer Geomatic uses Adviser to steer their web enablement strategy for their IBM Notes applications. 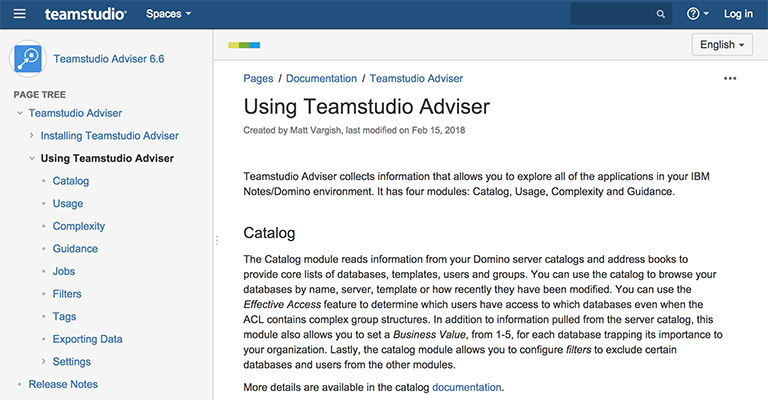 View or download a one-page data sheet for Teamstudio Adviser.